We’re getting a much more useful look at how things are panning out for teams this Spring and how drafts are going in Fantasy. This allows us to identify where “our guys” are likely to be taken come draft day and the likelihood of getting the players we want. But in the interest of being flexible come your draft, you need to be able to find value at each and every pick. So here I’m going to whizz through all American League teams and identify a starting pitcher who is primed to offer more value than their current draft position suggests. National League will follow soon. The ADP (Average Draft Position) is taken from their average across ESPN, Yahoo, CBS RT Sports, NFBC and Fantrax draft data. Without further ado, let’s get cracking. Gausmann has had two great second halves salvaging seasons after two poor first halves. If he gets his act together early now an experienced member of the Orioles rotation, he can easily offer value as an SP4. 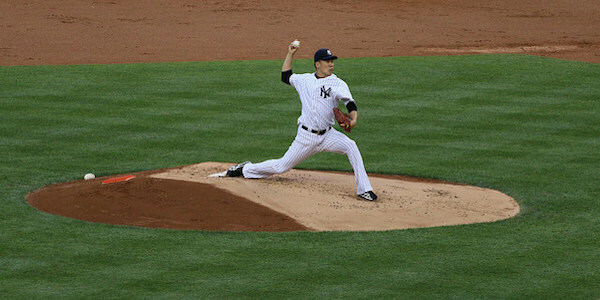 Yes, Rodriguez will not be ready for Opening Day, but he is back pitching and should be ready come late April. Now, are there really 93 other starting pitchers you’d rather take? A last round pick on Rodriguez could easily offer a solid rotation option on your roster. The emergence of Luis Severino and Tanaka’s poor 2017 has seen him drop in rankings heading into 2018. But last season’s underlying numbers were as impressive as his 2016. The elevated ERA was mainly due to the jump in HR/FB rate, which means a correction to the norm should see Tanaka knocking on the door of being a high SP2 again. The longest of all long shots, Brent Honeywell’s injury has opened a spot up on the Rays rotation and seemingly healthy after a second TJS, Eovaldi appears front runner to take that spot. Don’t expect 180 innings or a 3.60 ERA, but for his price Eovaldi has a good chance to be a fantasy asset much more than the hinderance a lot of guys going before him appear to be. Three DL stints due to blisters ruined Sanchez’s 2017 campaign after an all-star 2016. I genuinely have no idea how you overcome blister issues but if the Blue Jays find a magic cure for it, Sanchez is sure to be much more valuable than the SP6 he’s currently going as. There’s no sugar coating it; The White Sox rotation looks bleak. But it’s easy to forget Giolito was once the no.1 pitching prospect in baseball not that long ago. His MLB audition went great with 2.38 in seven starts so it’s easy to dream of better things than his current SP7 projections. 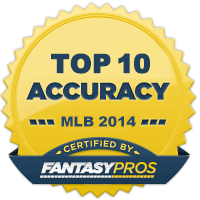 How can the eighth starting pitcher drafted offer more value? 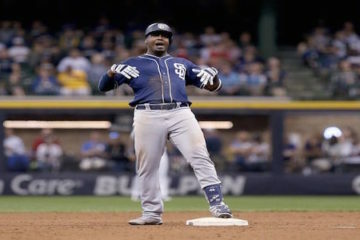 Half his starts will come against AL Central rivals, none of whom project to be much of an offensive threat. It’s easy to see Carrasco breaking into that top-4 SP group. Healthy after elbow surgery ended his season early, Fulmer’s lack of strikeouts and seemingly limited run support appear to be tempering his 2018 outlook. But Fulmer will be a top contributor for ERA and WHIP in fantasy and should be readily snapped up earlier than the 18th round. The big question marks over any Royals starter is health. Except Junis who flashed some promise in 2017, albeit with limited strikeout upside. Junis had better strikeout numbers in the minors so if he can bring that up to the Majors, he’ll be a lot more useful in fantasy than some of the 121 other guys drafted ahead of him. A finger injury means Santana won’t be seen until May, but when he returns, he’ll be his usual workhorse self who has a sub-3.40 ERA in back-to-back seasons. The Twins’ additions of Odorizzi and Lynn has seemingly taken even more gloss off Santana’s draft stock but as an SP7, is there any more of a stable pitching staff solidifier to offset your riskier picks? Keuchel’s last four season’s ERA; 2.93, 2.48, 4.55 and 2.90. It’s easy to see his 2016 ERA as the outlier and it’s recent enough to be in our minds to act as a concern. Coupled with a K/9 around 8.0 and Keuchel doesn’t seem to be as popular as he should be in drafts. Easily a borderline SP1 in fantasy. “Hey, remember me?!?! I was the ace around here before that Ohtani guy turned up. And before my arm stopped working”. But Richards five starts at the end of 2017 breeds optimism that he can be a star again with health, as with so many other pitchers. Even if Richards only starts 20-25 games, he should offer SP3/4 value. The apparent injury to Jharel Cotton could see Puk make his MLB debut earlier than anticipated. One of the top prospects in baseball, Puk had a long stint with the A’s in Spring. 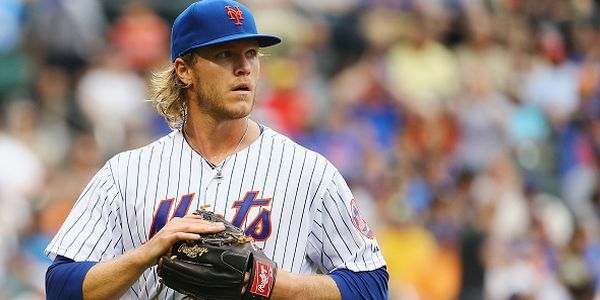 With an improving defense behind him and a pitcher’s ballpark, drafting Puk late and stashing him until he gets the call could provide SP3 numbers for 100+ innings. Surely worth the late pick? Like Ervin Santana, Leake is consistent and boring. If you miss out on Santana and still need a stabilising high floor starter late in your draft, look no further than Mike Leake and his 180 innings, 135 K’s, 3.90 ERA. Worthy as an SP7 if you’ve already chased upside earlier. 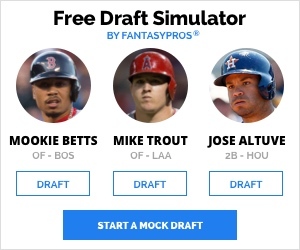 Drafting a starting pitcher in the hope of earning saves. Not a plan I normally condone but Minor and Lincecum’s best route to fantasy value probably lies in being the Rangers’ closer. 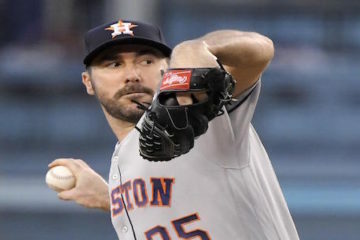 A team who have struggled to find a 9th inning anchor recently, either of these two could be their best bet in what is an otherwise iffy rotation at best.